If you are planning a party and want to turn it into a blast of fun, Bring the thrill and excitement of boxing to your event. Put on the giant gloves and step in the ring. 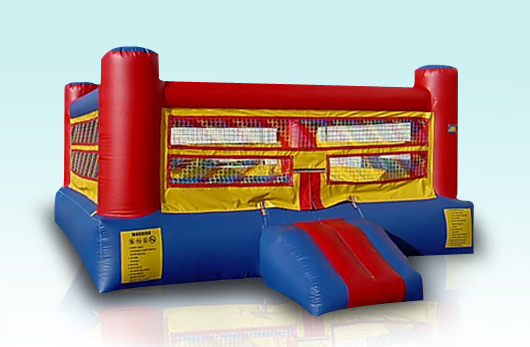 This boxing ring will definitely entertain the guests at your party. Who will be the next Big-Glove Boxing Champ of the World? Contenders duke it out in this inflatable boxing ring just like the pro’s. A few rounds in this ring will determine a winner. Our new ring design makes our unit the safest anywhere, yet still gives the spectators the feeling of sitting ringside. This bouncer was built tough! Make your event even more fun with play boxing!